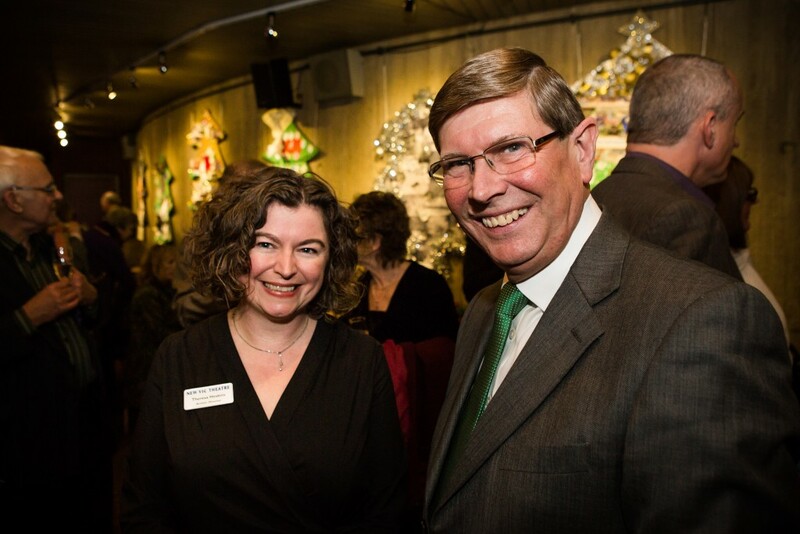 As a member of New Vic Business Friends, your organisation will demonstrate support for the New Vic’s work and its tens of thousands of customers and supporters; enabling you to benefit from an association with an international-class arts organisation and with the community that we serve. As a Business Friend, your company will enjoy branding opportunities in the theatre building and in our widely distributed publicity materials. Networking,complimentary tickets and the opportunity to host hospitality events are additional benefits. All sponsorship income from Business Friends goes directly into supporting making theatre and our award-winning community and education programmes. on the New Vic website (100,000+ unique hits per year). 40 complimentary tickets per year; available for most performances (max 4 tickets per event). A reception at the New Vic hosted by our Artistic Director. A New Vic Business Friends certificate for display at your organisation’s office.